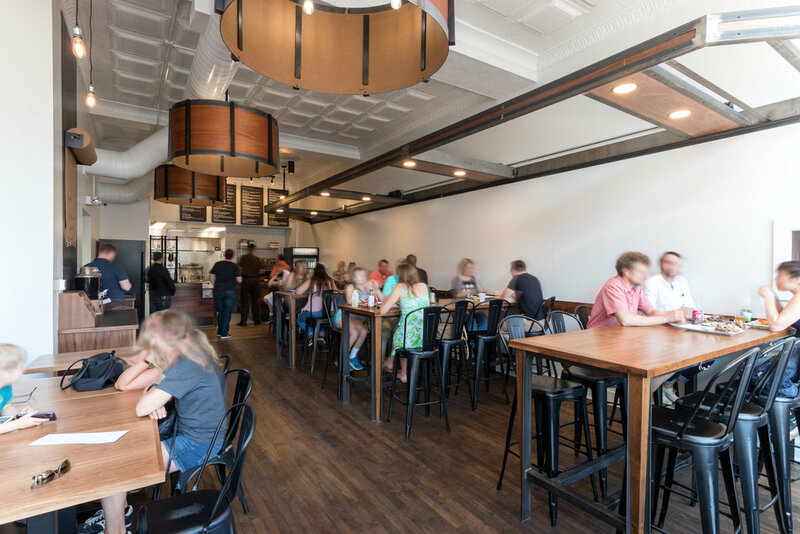 Located in historic Jackson Ward, Salt & Forge serves gourmet, hand-made sandwiches, salads & breakfast quickly. Less wait, more enjoyment. On 2nd Street north of Broad sits Salt & Forge, the premier breakfast and lunch destination for downtown businesses and VCU/MCV students. During breakfast, enjoy flaky buttermilk biscuits with house made jams or as a sandwich, paired with freshly brewed Counter Culture Coffee. Lunch tempts you with a menu of hand-crafted sandwiches and salads, all served quickly so your lunch break is all about enjoying your meal, not waiting on it. The flavors you will experience at Salt & Forge are unique and amazing because every ingredient is crafted in house or by local artisans. We brine and roast our own meats, make our own jams and sauces from scratch, and blend our own salad dressings. Our breads come from local, small batch bakers Idle Hands Bread Company, Albemarle Baking Co & Anna B's Gluten Free. And don't forget to try one of our delicious cookies, baked fresh daily. In addition to amazing food, Salt & Forge serves a variety of beers and wines, hand-selected to compliment our flavors and the seasons. Every day starting at 10:30am. All sandwiches include your choice of side: chips, coriander slaw, potato-bacon salad, seasonal side, or fruit. Every day starting at 10:30am. Served weekdays until 10:30am, weekends until 2:00pm. All breakfast items include a side of fruit. All Rights Reserved. Copyright by Salt & Forge. 2018.